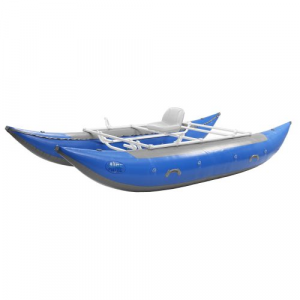 The newly redesigned Jaguarundi cataraft offers excellent maneuverability. With great agility, and a large carrying capacity, the Jaguarundi is the most versatile cat in the AIRE fleet. Tubes only, frame and accessories sold separately. The Jaguarundi's speed, tracking and maneuverability have been improved by increasing the bow and stern rise. Perfect for a family day trip or a gear-hauling multi-day journeys. 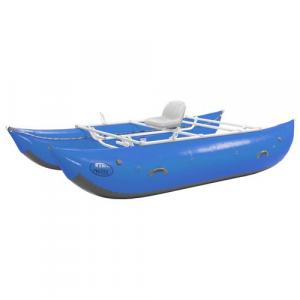 The 24" diameter tubes and 16' length give you plenty of room for any gear and passenger combination. 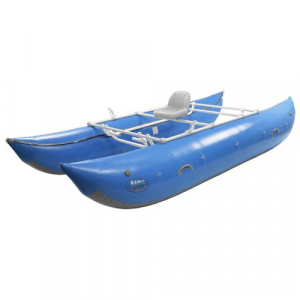 An integrated frame chafe strip gives added protection where your frame meets your boat. 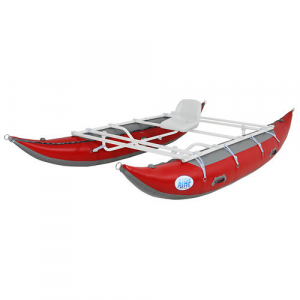 The redesigned handles are not only more durable but also fit the hands better for carrying to and from the river. Repair kit included.